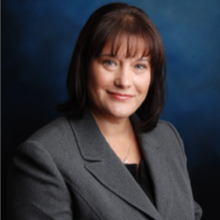 Kimberly Skehan is Director of Regulatory and Quality Consulting at Simione Healthcare Consultants with more than 30 years of clinical, management and consulting experience in home health and hospice. Kim’s home health and hospice consulting experience includes startup and survey follow-up for state licensure and Medicare certification; due diligence; re-organization and re-engineering of operations; program development; education and training; clinical audit; regulatory and reimbursement issues; and program development for quality assessment, performance improvement, corporate compliance, and oversight processes. Kim is nationally recognized and highly respected by state, federal and industry leaders. She has acted as a liaison to state and federal regulatory agencies and legislators to facilitate collaboration regarding issues affecting the home care and hospice industry. at Home, where she previously served as the VP for Clinical & Regulatory Services. In addition, Kim is a member of the National Association for Home Care and Hospice (NAHC), and Sigma Theta Tau Honor Society for Nursing. Kim is a certified consultant by the Accreditation Commission for Health Care (ACHC) for home health, hospice and private duty care. She also provides state-mandated independent nurse consultant services (INC) to oversee efforts to reverse citations and other problematic issues, educating agency staffs on the changes needed to bring their agencies into compliance with requirements. An AHCC-accredited home care coding specialist and certified OASIS reviewer (COS-C), Kim earned her B.S. degree in nursing from Southern Connecticut State University, and her M.S. degree in nursing administration from the University of Connecticut (UCONN), where she has also served as adjunct faculty for the School of Nursing.